If your mother pestered you to eat your peas when you were a child, she may have been onto something. An enzyme found in the seeds of Pisum sativum L, or peas, is great for your skin. Loss of skin firmness and elasticity are telltale signs of aging, but pea extract fights the enzymes that break down collagen and elastin. Its restorative effects also help defend collagen and elastin against UV, chemical, and immunological threats. In fact, one clinical study found that pea extract improved skin elasticity by 16.7% in just three weeks. Another study found that a pea sprout extract can help with hair growth. In this study, researchers tested the extract on 20 volunteers. They found that the extract increased the number of hairs in anagen (growth) phase while reducing the number of hairs in telogen (resting). In the telogen phase, your hair is attached, but not growing. It's at the end of this phase that the hair sheds. So the pea extract was able to keep the hair in a growing phase, which means it was healthy and vibrant. The researchers also found that after three months, the pea sprout extract promoted fuller, thicker hair. In fact, 80% of the volunteers said their hair was less prone to breaking. An astounding 95% of the volunteers noticed a slight to strong deceleration of their hair loss. And 95% of them noticed a slight to strong improvement in the look of their hair. 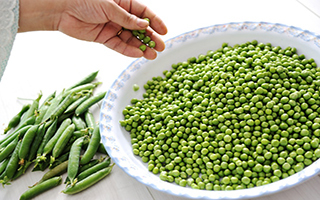 The researchers chose to use peas because of their high levels of phytonutrients. 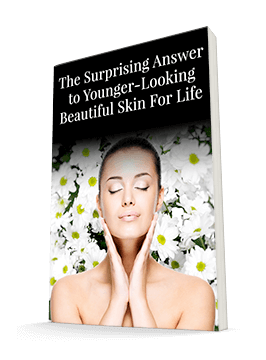 Other studies have shown that pea extract works in a similar way in your skin cells. It keeps them healthy and vibrant. And it keeps them from dying or becoming abnormal prematurely. So including peas in your diet is a great idea. You also can apply the pea extract topically and experience its anti-aging benefits. You can find pea extract in Système 41's Night Treatment, along with other vitamins and antioxidants that keep your skin looking healthy and young.